Cyber Monday is behind us and it sure was a doozy. Price slashing induced online shoppers racked up almost $7 billion worth of sales in just one day. The remainder of the holiday season isn’t likely to see that kind of 24-hour spike, but a steady stream of e-commerce activity is sure to continue well into the yuletide. 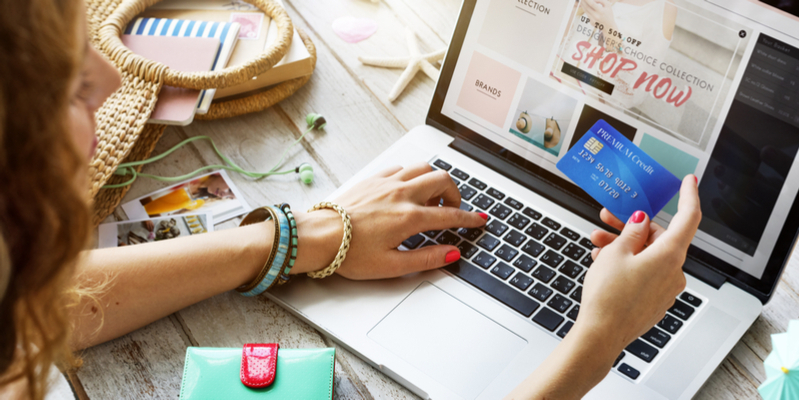 This is exciting news for online retailers and cyber criminals alike, so shoppers need to be vigilant. Here are four tips you can use to stay safe while hunting for digital deals this holiday season. If you haven’t already lost count of all the emails you’re getting from retailers, you will soon. Faking an email from a reputable website is surprisingly easy to do. Don’t trust the name field in your inbox. Check the actual email address to make sure the sender is who they claim to be. If you come across an address like info@hajafia.Amazon.com.kjfasdif, it’s not really from Amazon. You may not have noticed it, but to the left of the URL in the browser search bar there will either be a green lock or a circled i. The green lock means the site is secure and can safely process online payments. Make sure there’s a little green lock before you enter your credit card information. In an effort to sniff out the best deals some shoppers might resort to apps that boast a list of the hottest deals on the web. This sounds like a great way to expedite the shopping process and cut straight to the good deals, but you can’t trust everything you see in the app store. Despite censorship efforts from Apple and Google, nefarious apps that are out to steal your credit card information can slip through the cracks and onto your phone. Play it safe, and go directly to vendor’s websites. Most mainstream retailers offer account creation as a shopping feature. These accounts let you easily shop again and again without having to retype your personal and financial information. This feature is convenient, but we’ve seen that no company is safe from cyber-attacks. Checking out as a guest ensures your personal information won’t be compromised if the website gets hacked, so don’t share more than you have to.